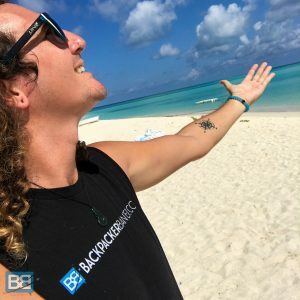 The new year is here and it’s time to start planning another year of awesome adventures!If you’re looking for some of the top destination to travel in 2018 you’re in luck – I picked the brains of some of my fellow travel bloggers to bring you some quirky ideas for your next set of travel plans. From specular beaches and off the beaten track spots to city breaks and surfing – here are 18 epic travel destinations for your 2018 bucket list! BONUS: Just The Maldives In General! I visited northern Kazakhstan as a part of my Trans-Siberian Railway journey across Russia. 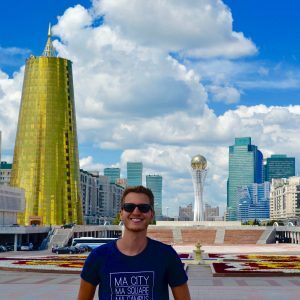 My detour to Kazakhstan’s capital Astana was absolutely worth it, therefore you should consider this surreal city in your travel plans for 2018! I didn’t know a lot about Astana before visiting, but I certainly didn’t expect to find myself in such a futuristic and modern city. Astana’s architecture is very unique – visit the beautiful presidential palace, get on top of the Bayterek tower for a great panorama, explore the Khan Shatyr shopping mall and marvel at the incredible Hazret Sultan Mosque and the surreal “Palace of Peace”-pyramid. If you don’t know a lot about Kazakhstan’s history and culture (like me), visit the National Museum for some insights. Astana is still quite undiscovered for international tourists, and I didn’t see any other travelers while exploring the city. Therefore, you will have most of these beautiful spots all to yourself and locals are very friendly, helpful and open towards internationals. You certainly won’t regret your visit! It took me more than 5 years to finally hop on a boat from Bali to Nusa Penida, but I am super happy I finally did last year. If you now ask me where to go in Bali I will send you on a boat to this magical island 45 minutes southeast of Bali. The incredible coastline, spectacular viewpoints, high cliffs, amazing beaches and adventurous things to do made this island my secret travel tip for 2018. The best thing to do is rent a motorbike and tour around the island. 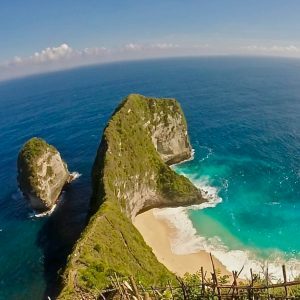 This is the ultimate way to explore all the tourist spots in Nusa Penida. Don’t miss Kelingking Beach, the dinosaur shaped beach and Angels Billabong in the South, chill out in the idyllic Crystal Bay and watch the sunrise at Atuh Beach. But my favorite place to go are the Blue Stairs at Peguyangan where you can spot manta rays from high above. You can also go diving with these incredible sea creatures and if you are lucky you can even spot a Mola Mola. If you are looking for a cool island hopping adventure this is the best place to go in Indonesia. 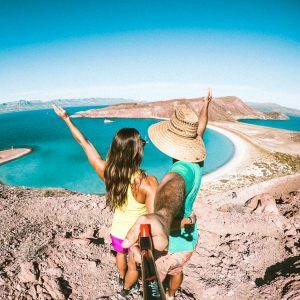 While travelers must fly into the touristy town of Cabo San Lucas to visit this destination, a journey through the Sea of Cortez takes you away from cities and into a sea of sanctuary. This UNESCO World Heritage Site is home to a unique landscape with idyllic aqua waters surrounded by gargantuan red mountains. Days are spent exploring uninhabited islands with white-sand beaches, diving into the waters of Cabo Pulmo National Park, and swimming with whale sharks. Amongst the many island nations that lie in the South Pacific, Vanuatu is one that is sadly not as popular. Only 3 hours from the east coast of Australia, this beautiful tropical haven is one that many travellers should make a priority for 2018. Surrounded by picturesque beaches, luscious rainforests and breath-taking resorts, Vanuatu makes the perfect place for a little balmy escape. Here, on this relatively small island, you’ll never run out of activities to do; water sports, blue lagoon swims, rainforest ziplining, waterfall visits and snorkelling… Just to name a few. For those that want to enjoy a tropical oasis without costing the bank, Vanuatu truly is your one-stop shop! Here, you can adventure into breathtaking natural beauty for the day, before heading back to a beachfront villa in the evening to relax. There’s nothing quite watching the sunset from your private oceanfront room after a day of total adventure, right? 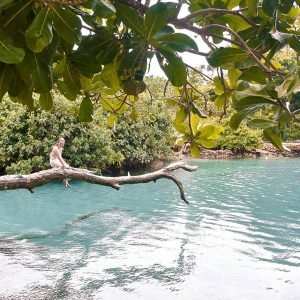 No matter what you desire on your holiday, Vanuatu is a country that simply has it all! Situated in the South East of Egypt on the majestic Nile River, Aswan gets less attention than other Egyptian cities such as Cairo and Luxor, but this is a good thing. Fewer tourists mean fewer crowds, less hassle on the streets and more of a relaxing Egyptian experience. Aswan could be considered laid back when compared to the cities in the North. 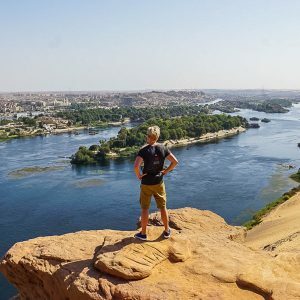 Aswan has its fair share of ancient temples and tombs to explore, including the impressive Abu Simbel (a day trip) and the Tombs of the Nobles, but for us, the highlight of Aswan is its location on the most beautiful part of the Nile River. Watch the sunset while floating on board a felucca, explore Elephantine Island, have lunch at the riverside Old Cataract Hotel or hike up one of the nearby towering sand dunes for amazing views of the city on the shimmering Nile. Aswan is also steeped in Nubian history and offers real Nubian villages to stay in for the most authentic Egyptian accommodation. 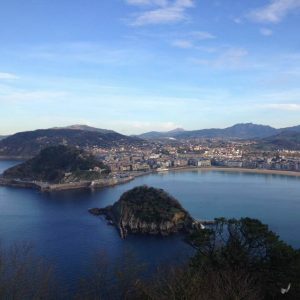 San Sebastian may be one of the lesser known destinations in Spain, but it’s one you should definitely visit! Despite its small size, there are plenty of things to do in the city. You can relax on La Concha beach and enjoy the stunning views of the Biscay Bay. You can hike up Monte Igeldo and be rewarded with an incredible view of the city and mountains. You can also go surfing at Playa Zurriola, minutes from the ciy centre, if you wish. There’s just so much to do! As well as all these activities, San Sebastian is famous for its culinary scene. There are a number of Michelin starred restaurants in the city. If you want something a bit cheaper, head into any bar in town and tuck into the pintxos, a Basque deliciacy! San Sebastian isn’t the first place people think of when they head to Spain, but it’s one you should definitely check out! 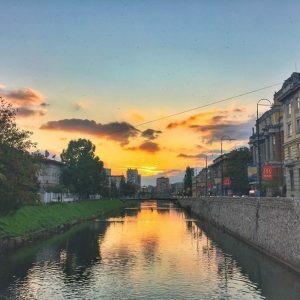 Sarajevo isn’t a destination on every bucket list yet but does offer something for everyone. Surrounded by nature, you can make day trips to waterfalls, abandoned Olympic sites, the green pyramids, and even Mostar. The city itself is filled with history and after taking a free walking tour, you can’t help but admire the people for getting through the war of the 90’s. In the war, Sniper Alley was a life-threatening walk, now it’s gorgeous and a good spot to run. Football is the most popular sport in the country, and with two top-level teams in Sarajevo, getting to see the derby would be an interesting affair. The food and cafe culture is strong, and surprisingly, for vegetarians and vegans is strong thanks to lots of falafel options. 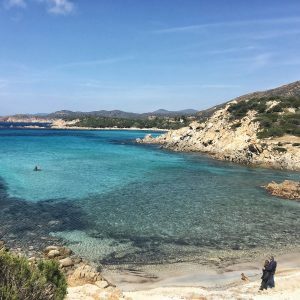 If there’s a place that travelers should not miss in 2018, that’s Sardinia. This gorgeous island in the heart of the Mediterranean has anything a traveler may hope for. Sardinian beaches are stunning and have the clearest waters one may hope for. The strong wind that often sweeps the island means great wind surfing and surfing opportunities. The internal mountains call for hiking, biking and climbing. Sardinian history is reflected in its unique archaeological sites. The cities and villages are quaint and beautiful. And if this is not enough, food is excellent: make sure to try fregola – a kind of thick, rough cous cous like pasta typically cooked with clams; and the lovely pecorino cheese. Sardinian wines are some of the best in Italy, with lots of vineyards now offering tasting tours: go to Cantine Argiolas, in Serdiana (around 20 minutes drive from Cagliari) for a real treat. Sardinia is big, but among the nicest places to stay there’s T Hotel, in Cagliari; Hostal Marina, a great budget option in the historic centre of Cagliari; Forte Village Resort, by Santa Margherita beach, at around 45 minutes drive from Cagliari; and Hotel Su Cologone, a beautiful boutique hotel immersed in nature, not far from the lovely village of Dorgali. Siem Reap is one of my favorite cities in South-East Asia. It’s home to the largest religious monument in the world, Angkor Wat. 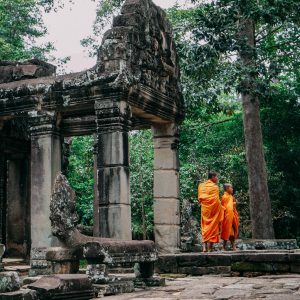 It’s definitely one of the top destinations for the year 2018 if you want to visit World Heritage Sites as you may also get familiarized with the history and culture of Cambodia. Siem Reap is surprisingly small, but there are a lot of things to do. For a different kind of adventure, you should get around using a “tuktuk” as what they call it, the easiest mode of transportation to another part of the city using a mechanized three-wheeled taxi. You can spend one day just for visiting large temples and the following days in Tonle Sap Lake to witness the life on the floating village and know more about the landmines and its continuing threat in the Akira Landmine museum. Of course, your trip won’t be completed without trying out some local foods and going around shopping for cheap prices. 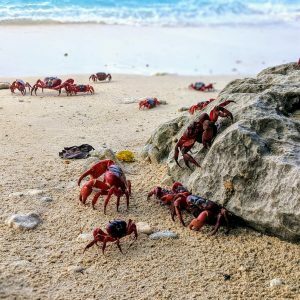 Located 2500km from Perth and closer to Indonesia than Australia, Christmas Island is an eco-paradise just waiting to be explored and should definitely be on your list for 2018. Add in incredible walks through the Island’s National Park, beautiful beaches and caves hidden along the coast and a fabulous community feel created by the Australian, Malay and Chinese residents living in harmony, and you’ve got a fabulous destination for Eco-tourism that receives only a few thousand visitors a year. One of the most amazing sights we saw during our 3 month trip around Southern Africa was Victoria Falls, the famous waterfall created by the Zambezi river on the border between Zimbabwe and Zambia. 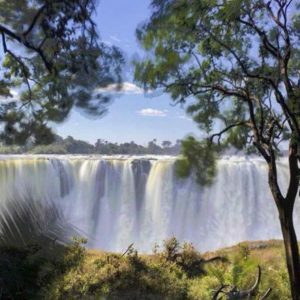 It’s visible from both countries, and I recommend heading to both sides to get the ‘best of both worlds’ – Zimbabwe offers the ‘grand overview’, whereas on the Zambian side you can get up close and personal with the falls, which means you’ll also be soaking wet throughout! Zambia is also where you can visit the famous Devil’s Pool, where you can enjoy the hair-raising experience of sitting on the edge of the falls. There are incredible experiences available from both sides of the falls, including white water rafting, gorge swings, bungee jumping and microlight flights. Sadly, there are also many animal activities on offer like elephant rides and lion walks – please stay well clear of those, as animals are likely to be exploited even though operators will swear they’re treated ethically. Tokyo is one of my favorite cities in the world and one that I recommend every traveler visit. I love Tokyo for many reasons including the food, the culture, the people, and its efficiency. Not only is Tokyo a large cosmopolitan city full of many attractions but it is an interesting mix of both modern and traditional. 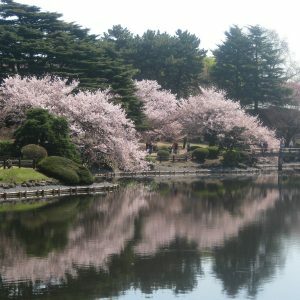 From the celebrated cherry blossoms in the spring to watching sumo wrestling or a traditional kabuki performance to having a drink or meal in one of its quirky themed cafes, there is no shortage of fun and unique things to do. Other must dos include walking across Shibuya Crossing (the world’s most famous intersection) and making an early morning visit to the Tsukiji Fish Market to watch the famous tuna auction and eat fresh sushi for breakfast. Our top destination for 2018 is Montreal in Canada. We absolutely love this city and definitely see it as a place we could settle in. It’s one of the few places in our travels where we felt comfortable holding hands in public. We also loved the huge variety of both culinary discoveries, culture and festivals you can attend here. Montreal has a festival for everything. There’s one happening almost every month of the year, whether it’s comedy, arts, pride or music. These guys love their festivals and will even party during the freezing cold winter months when it’s minus 20 degree Celsius (minus 4 Fahrenheit) – for example Igloo Fest is a popular music festival that takes place at Montreal’s Old Port in January and February. Montreal is also a city of art. There’s always many outdoor art displays featured across the city worth checking out, particularly usually outside the Fine Arts Museum (Musée des Beaux-Arts). Finally, one of our favourite activities in Montreal was climbing up Mont Royal for the best views of the city. Mont Royal is the iconic symbol of the city, around 233m (765ft) high. You can hike up or drive to the Belvedere Observatory at the top of Mont Royal for the best views of the city. 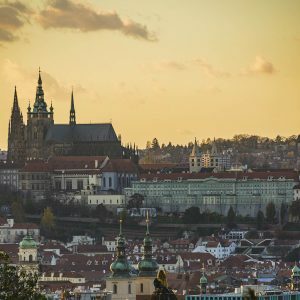 Prague’s location makes it easy to visit other awesome areas of the Czech Republic for day trips as well. Kutna Hora, Cesky Krumlov, and literally hundreds of other castles, towns, spa villages, and natural parks are all within a couple of hours driving. Combine all of these factors together and you have a city that should be on every traveler’s radar. Cape Verde was one of the rising destinations in 2017 and will definitely be a destination not to be missed in 2018. 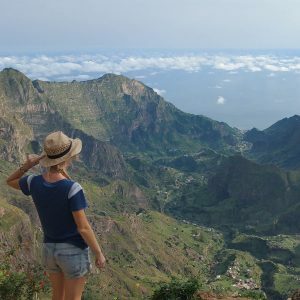 Whereas Boa Vista and Sal island are very coveted destinations for beach holidays, Santo Antao and Sao Vicente are more laid-back but with great hiking possibilities. My favorite island of the Capeverdean archipelago is definitely the “green gem”, Santo Antao. 10 days were not enough for us to do all its hiking trails. The island itself is very variated: beach in the south, sharp peaks and profound valleys in the north. There are several micro-climates on a very limited space, which allows a very variated agriculture including Northern European vegetables and fruits, but also tropical fruits like pineapples, passion fruits and bananas. During your hikes, you’ll walk along the fruit trees and it will be hard to resist. There are hiking trails for every level and I recommend to take enough time to interact with the very warm-hearted population. I guarantee that you’ll remain speechless in front of the sharp mountainous profile of Cape Verde’s green lung. Iceland is one of the most magical countries I have ever visited. As a lover of nature and the outdoors, Iceland has everything. From snow-topped mountains, black sand beaches, more waterfalls than I could keep count of. As well as unique experiences like hiking a glacier, scuba diving Silfra, visiting the famous Glacier Lagoon and Diamond Beach. I spent 10 days driving around Iceland on the Ring Road. The wonderful part is that although Iceland is known as an expensive country to visit, in a campervan you can see all the amazing scenery for free! Each time you set off driving within 10 minutes you have spotted somewhere else that you want to stop off at. And when you fancy some relaxation time there are secret hot pots (hot springs) dotted all around the country to chill and enjoy the views. If you’re adding it to your 2018 list of places to visit, I would recommend going in the summer. It means you have extra daylight hours to fit all your sight-seeing in. And for bird lovers, the very cute puffins arrive June so another reason to book your flights now! Cape Town known as the Mother City in South Africa is the most beautiful city in Southern Africa and one of the most visited places in the country. What makes it great? It’s location, nested between the mountain and the sea, cosmopolite and dynamic Cape Town has so much to offer. The highlights of Cape Town; Table Mountain, V&A Waterfront, colourful neighbourhood Bo-Kaap, Lion’s Head mountain, Cape of Good Hope, Robben island, Camps Bay beach. Cape Town is one of the greatest cities in the world for outdoor lovers and adventure junkies. 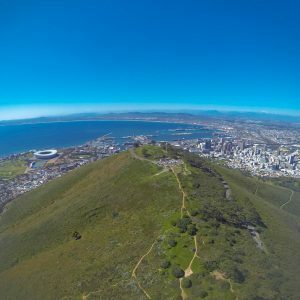 Hiking up Table Mountain or paragliding from its top, mountain biking around Cape Point, canyoning the Hawequas Mountains, surfing or kitesurfing at Big Bay beach or diving in the cold water of the Atlantic Ocean. Myanmar only recently opened its borders to tourism in 2011, so it hasn’t yet been spoilt by overdevelopment and over-commercialisation. With hardly any sign of western culture, wherever you go, it really feels like you have got off the beaten path. And you have, really. Travelling through Myanmar feels like you are discovering something new. The locals are some of the most welcoming I have ever encountered. They are very keen and proud to show you their country and their culture, and for you to enjoy it. And it has Bagan, one of the world’s greatest archaeological sites, which easily rivals sites like Machu Picchu or the Piramids of Giza. A complex of over 2,200 temples and pagodas spread across the plains is a sight to behold, particularly at sunset. It also has communities that still lead a unique way of life, like the Intha leg rowers. 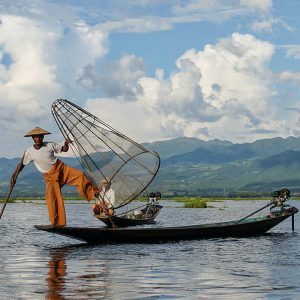 They can only be found in Inle Lake, where you can visit the markets, the winery and the floating villages and gardens. A stunning setting that feels totally untouched by the outside world. These are just a few of the reasons why I love Myanmar and why it should be on everyone’s bucket list. I’m going to throw this one into the mix too – the Maldives should be on everyones 2018 bucket list destinations! Having visited a few times now it’s incredible to see just how easy it can be to travel the Maldives on a budget. It’s not just the honeymoon destination you might envision and there are plenty of local islands like Thulusdhoo and Fulidhoo which are incredible to explore – with accommodation and day trips to suit every Maldives budget, from luxury properties to lovely little guest houses. So if you’re looking for a paradise to explore in 2018 the Maldives should definitely be it! What adventures are you heading off on in 2018? Any destination you’d add to the list? Prague and Sarajevo are on my bucket list.